It is perfectly clear from this image Hadeel al-Hashlamoun was no threat to the soldier, nor is there any sign of a knife. 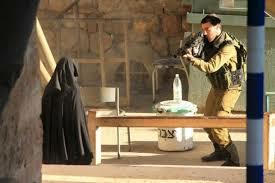 Unarmed Palestinian Woman Hadeel al-Hashlamoun Shot and Left to Die by the IDF. These incidents are routine as the illegal occupation of the West Bank nears half a century the oppressive and criminal nature of the occupation was made patently clear yet again yesterday when the IDF shot a young Palestinian woman Hadeel al-Hashlamoun ten times for unknown reasons and then made attempt to provide medical care as the 18 year old student lay bleeding to death in Hebron (Arabic al Khalil) on the occupied West Bank. The soldiers are in complete control there is no threat this is murder. Typically, the Zionist apartheid regime tried to blame the victim for the crime they committed trying to claim that the woman was shot after trying to stab a soldier. 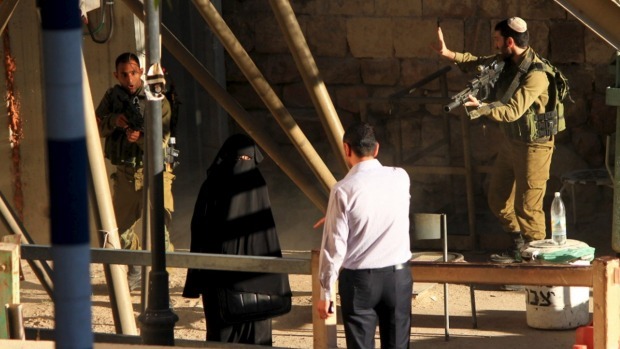 There is no evidence apparent that the woman even had a knife and even if she did have a knife it is perfectly clear the woman was no threat as she was on her knees surrounded by heavily armed occupation forces prior to her killing. 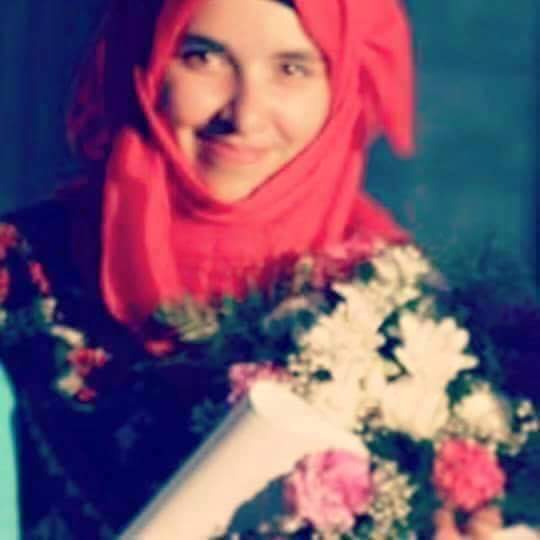 Murder victim Hadeel al Hashlamoun. As the poor woman lay dying in the street, the IDF members made no attempt to provide medical care to their victim, a breach of their responsibilities as an occupation force and under the Geneva convention. When a Palestinian Ambulance arrived on the scene the soldiers pulled the woman’s body off the footpath without any pretensions to have any care for her well- being. The scene was an absolute disgrace and yet the supremacism is so ingrained that the troops no longer notice that their humanity has evaporated. The glee from certain Jewish settler onlookers was simply unmistakable. 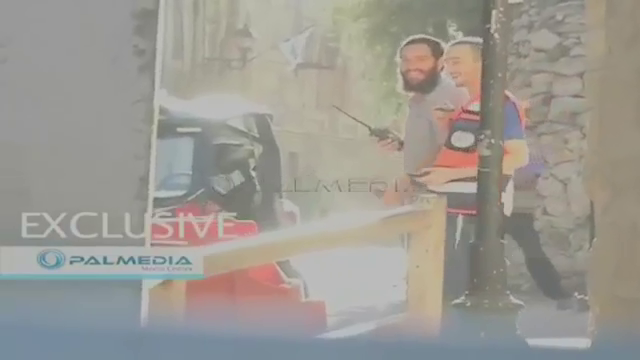 This Jewish settlers cannot hide his glee as he arrives on the scene where the young woman lays dying. The city is the home to several significant religious sites most notably the Tomb of Abraham, the perceived “father” pf all three major monotheistic traditions. The occupation of Hebron is unique as in Hebron, a tiny group of extremist settlers live in the city centre causing the IDF to oppress an entire city of 200,000 people on their behalf. The settlers of Hebron are by far the most violent and obnoxious of all the settler groups of Zionist Jews. 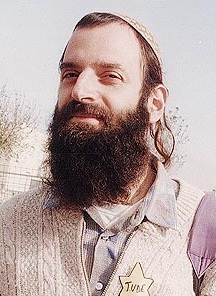 Baruch Goldstein, the Jewish Supremacist from New York who murdered 29 people as they prayed in Hebron’s Ibrahimi Mosque in 1994. 1994 Terrorist Massacre in Hebron Mosque. In 1994 one of the Hebron settlers, a man named Baruch Goldstein from New York murdered 29 Palestinians as they prayed in the Hebron mosque. It was the worst single massacre conducted by an individual settler. The Israeli number plates had to be removed, one of many funny little errors that indicate the Hebron kidnapping was conducted by a branch of Israel internal security forcespresumably at the request of the political and mid/ or military leadership. The False Flag Murder of three Young Hebron Settlers of June 2014. The obnoxiousness of the Hebron settlers made them the ideal choice for the false flag kidnap/murders that preceded the Gaza massacre of 2014. The Hebron settlers made for a plausible target for “Palestinian militants” in the false flag that led to the deaths of thousands and the destruction of Gaza to the point where it is becoming uninhabitable. It is worth remembering that when the kidnapped teens phoned the police their kidnapper spoke to them in Hebrew with an Israeli accent. In addition to that was the fact that the police simply ignored the boys call for help dismissing the call as a prank enabling the kidnappers to escape despite the fact that gunfire can clearly be heard as the kidnappers open fire and the victims stop talking. It is amazing that Israel expects anyone to believe that this is possible in the most neurotically security conscious of all states. In addition to the Hebrew speech of the kidnappers and the obvious security force stand down when the car used in the kidnap reappeared, it’s license plate was missing. 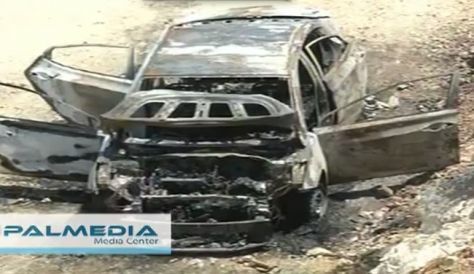 The car had been burned out and left in a public place. The reason the license plates had to be removed was that they were Israeli. The Hebron settlers are the real deal obnoxious supremacist racist Zionist Jews, they do not go around accepting lifts from the Arabs of Hebron, it is not that type of relationship at all. The settlers never ever allow themselves to be put in a vulnerable position with the local people. This group loathes the local people, not all the settlers are like that, all are to be condemned but the Hebron settlers are atypically awful, an embarrassment even to criminal apartheid Israel. Iman al Hams an IDF officer emptied an entire magazine from an assault rifle into her head at point blank range as she tried to hide. The Day of Reckoning Awaits the Zionist State. Whether it is in Missouri, Texas Sydney or Hebron, the use of deadly force by police or military forces should only ever be a last option taken in order to preserve human life. Anything else is gratuitous and criminal. In the IDF a soldier can literally empty an assault rifle into the head of a cowering 13 year old girl and face no serious criminal sanction. In fact the soldier that committed the especially vicious and memorable murder of the 13 year old Gazan school girl Iman al Hams in 2003 was only charged with use of excessive ammunition in the killing. According to the IDF the soldier was right to shoot the unarmed girl trying to hide behind a rock in the head at point blank range, but he should have stopped firing after two or three shots instead of emptying the entire clip into her as he had done. The IDF rules of engagement are literally criminal and they criminalise the ,members of their army forcing them to murder civilians safe in the knowledge they will never be made accountable. .Israel’s crimes have not gone unnoticed in the world and there is no doubt whatsoever that the day of reckoning awaits the criminal Zionist state and I hope they repent of their evil before it is truly too late. Dissident Israeli and IDF whistleblower Eran Efrati served in Hebron during his time in the IDF. At the start of his speech in the video below he tells the story of the time he was stationed in Hebron and the IDF conducted a raid in Hebron and killed, shot to death a Palestinian boy of 12 or 13 years of age. When the soldiers returned to their base Efrati noticed that while some of the soldiers seemed saddened by the wretchedness of what they had done, the other half were having celebratory drinks. 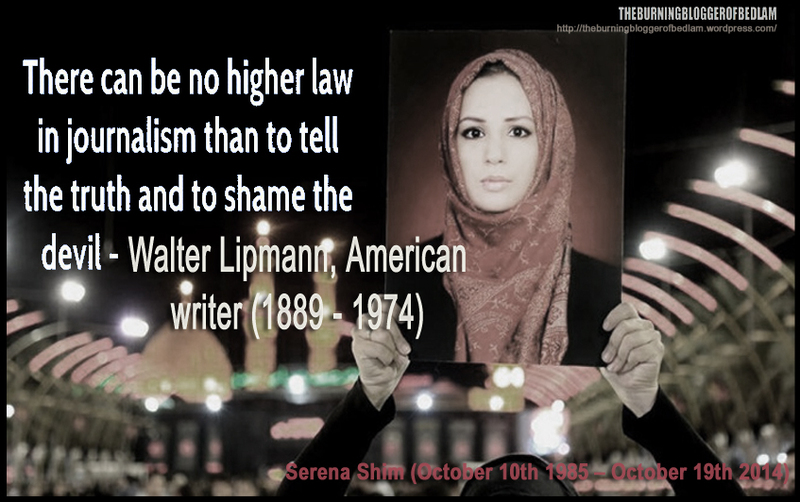 Governments enjoy showing off their power and use it to intimidate, giving off that “I like killing people” attitude. My advice to all attacked and downtrodden people is, stay out of their way as much as it possible, since these guys are just looking for an excuse and if they find none, they will kill anyway. They don’t need a reason. Satan is a roving lioin seeking to devour and destroy. He does mean business. Fortunately, God is not messing around, either. He gets to have the last laugh. Thanks truth1now, you make a lot of good points there. In my opinion there is an obligation to resist oppression but there is also a need to resist in the most moral, intelligent and effective way possible. The struggle for justice in Palestine is never helped by violence as this simply enables the murderous psychopaths of Zion to paint the occupation as being based on their security concerns. I have read the art of war many times and the message I take from it is the first thing is you must understand the situation realistically and then decide what actions might help. Thanks for comment. Just horrific, terrible stuff. The Eran Efrati story I’d seen before and the implications are pretty dismal. There was also a story a year or so ago about a number of senior Metropolitan Police personnel from London going over to Israel to ‘train’ with the IDF for a week or so, though the police refused to comment on why or on what the ‘training’ consisted of. This, as I recall, was very close to around the time the bombardment of Gaza began, interestingly enough. If law-enforcement agencies in other countries are being trained by the IDF, we’re all in serious trouble. I have to admit, however, in regard to the ‘false flag’ killing of the settlers in 2014, I had not considered it might’ve been a false-flag until I just read it here in your article. Having been too busy studying the Libya stuff and the Syria situation, I hadn’t paid as much attention to what happened in Gaza, and I just assumed that genuine Palestinians genuinely killed those settlers, given high tension, and that the whole thing just escalated from there. Reading this piece, I realise now I was probably mistaken. Thank you Burning Blogger of Bedlam, I should have provided better substantiation for the false flag claim about the settlers, the best work on that case was done by a dormer member of the IDf and Hebrew Speaker, Roi Tov, who was exiled in South America and has disappeared for a year along with his website, I saved the articles, I have them but in the rush to post the piece I failed to take the time to hunt back through my downloads of last June and July to find the work he did and I apologise for that. One point I should have better emphasised is that a Israel is without doubt the most neurotic and paranoid state about security issues in the world, and that on the police audio, the 911 call , the sound of gunshots can be heard (albeit apparently silenced), so the police story that they believed the call was a prank and that is why they ignored it for many hours, is simply incredible. “Haaretz said that the Israeli Defence Minister Moshe Ya’alon approved six-month detentions for two settlers on Sunday for carrying out terrorist activities, unrelated to baby Dawabsheh’s death, but they were also released. Thanks again, James, for such a detailed and helpful reply. There’s a lot for me to look at here. The situation in general is just so miserable all around that most of the time I feel like I don’t want to go near it. What’s extraordinary as well is that you have scores of Palestinian refugees who sought refuge in Syria from Israel initially and have subsequently been killed in the fighting in Syria or forced to flee Syrian refugee camps so that they became ‘double-refugees’. Many of those are now in Lebanon, but Lebanon too is in danger of destabilising, in which case they could even one day become triple-refugees. And then many of them, if they try to come to Europe are labelled ‘ISIS’ or Muslim extremists! Where are they supposed to go? Thank you Burning Blogger of Bedlam for that I can only agree at the awfulness of it all and hope that something changes and that people are no longer fleeing from wars sometime in the near future. It is very tragic and outrageous what has been done to the Palestinians. Ruthless monsters just brutally take what they want. But I have an odd view of this. Since Israel is so powerful and fully supported by the USA, there is no chance for Palestinians to fight back in any meaningful way. And what fighting they do, they pay dearly for it, even if they are justified in defending themselves, which they are. But ya know, you can be perfectly justified and still get killed. Justice is easily raped and murdered. So my belief is that in recognizing overwhelming odds, the Palestinians should choose the course that would most minimize their losses. In other words, any path they choose will cause loss. Why not choose the least loss path! And that is? Most industrial nations are obedient to Israel. So go get some welfare from those nations. Everyone else is. Reduce the burden you bear. Do it for your kids. Get out and ask God for help, too. And get to know God real well, because He will give lots of help if you do things His way. We as a species got into trouble because we left His ways for our own and our own is an out of control animal instinct. We seldom ever bother with our intellects, almost as if they were not even there. Jesus suggested in his speeches recorded, that we are far too preoccupied in our most immediate needs and ignore the things of God, which many today might call Philosophy or rhetoric. But using our heads can yield lots of wonderful results after we have done it for 10 or 20 years, hopefully starting as teens or younger. That is what I would suggest to Palestinians, who deserve a decent life as much as anyone. Thanks fro that truth1now, I agree with your sentiments regarding ARMED resistance, it simply makes the rapacious land thieves appear to be conducting a security operation, as to your other suggestions, I can see the logic in what you are saying but would have to respectfully disagree with the proposal that they simply leave and would suggest that to lose the connection with the land would be an immense loss that you do not take into account. This may be because as new worlders we lack that intimate long term connection to place. Thanks for comment. I had another thought James. My last name is Irving and is Scottish in origin. The family line I come from moved to Belfast N. Ireland and then over to Scots Bay, Nova Scotia Canada and from there my father came to the USA at 17 and I was born in Maine USA. Scots, Scots-Irish, and Irish were all people who often migrated to wherever for opportunity or survival such as the so called (and phony) potato famine, which was an engineered genocide on the part of the UK gov., But anyway, we let circumstances dictate our choices to some degree, rather than trying to fight in impossible battle. Flexibility is an important virtue for human beings, that lets them adapt when other species would perish. for what its worth. You make a number of good points here truth1now and I appreciate the insight into your background, I cannot disagree with what you have written, but think about it this way, you are suggesting that they abandon Bethlehem, abandon Hebron, abandon the al Aqsa Mosque and the Haram al Sharif, this is the spot on earth from which the Prophet Mohamed is said to have ascended to heaven and the third most holy site in Islam behind Mecca and Medina so I can see that your suggestion is well meaning and logical but I can also state that it will not happen because to abandon Bethlehem, Hebron and the al Aqsa Mosque etc will always be unacceptable to many Christians and Muslims regardless of the risk or level of oppression. Whether this is a wise course of action is another matter. Thanks for comments. That’s an interesting idea, truth1now; the problem is that we appear to be in an era where refugees and asylum seekers are regarded very badly. Look at how much racist, Far-Right propaganda is presently being circulated – and readily believed – about Syrian refugees being ‘ISIS’ invaders, etc. We have the biggest refugee crisis now since World War II – it is very doubtful that an increased exodus of Palestinians is going to be received or treated very kindly. I suspect you’re right, Bedlam, if I may use that as a name. but Palestinians have received support from a number of people, unlike many of these other groups migrating. My concern is only that Palestinians find some peace and refuge, so that they can continue on as a people and as families, by avoiding the most treacherous paths and finding more gentile ones to allow their lives to become something better. Many groups have often found new homes in far away places. Many Amish and Old Order Mennonites have settled in South American of all places. Scots and Irish have gone to many places. I am living proof of that. At this point in time, I don’t think anyone on earth has it too easy anymore. Its all the head games the media play with us. We are more up to it then many. But even we struggle at times to figure out such liars above us.